Attic Storage, Pool, Vacuum System. Cook Top Range, Dishwasher, Disposal, Grill, Oven, Refrigerator. This exquisitely designed home features elegant, private, one level living. 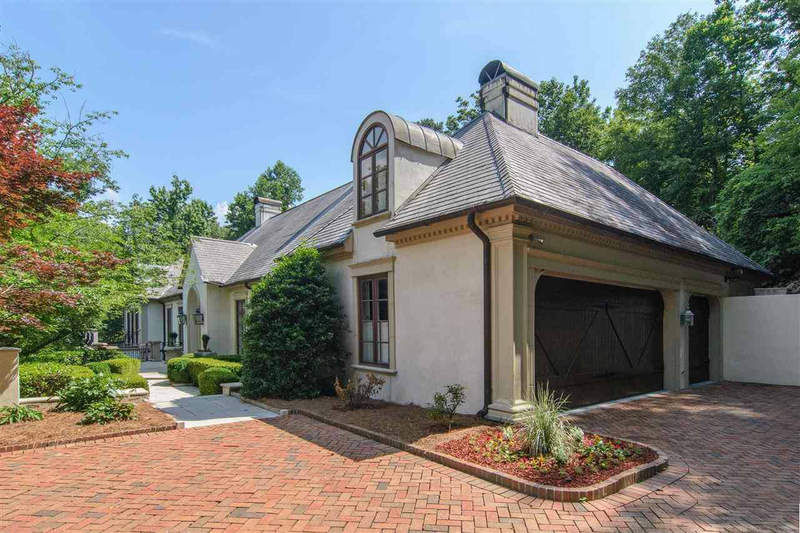 With details like marble, stone, and FIVE fireplaces that produce a grand, yet intimate feel, this enviable "lifestyle" house is beautifully perched above Cherokee Road. Custom woodworking and decorator details throughout. The custom kitchen with large center island, refrigerated drawers, fabulous bricked barrel ceiling, & wide plank floors features an eating area, fireplace, Wolf range, Sub Zero side by side refrigerator/freezer & a huge Sub Zero double wine refrigerators steps away in a beautiful pantry. The wet bar includes a built in ice maker & refrigerator & is perfectly positioned between the kitchen and the grand/great room with a masterful curved design and gorgeous marble floor overlooking the matching curved pool. Wow! His and her baths for the master, and THE closet of your dreams! The main level laundry room boasts two sets of Miele washers and dryers. 3 car garage and so much more. Come home!